The former Uzbek president, Islam Karimov, has been buried but many questions remain, both about his death and the future leadership and direction of his country. Although a public transition of power began after Mr Karimov's death, questions are still being asked about the way Uzbek government handled his demise. The first reports of his death emerged immediately after the official announcement of his hospitalisation on 28 August. The initial report by the cabinet gave no details of his illness. On 29 August, the president's youngest daughter, Lola Karimova-Tillayeva, said on Instagram that her father had had a brain haemorrhage over the weekend and was in intensive care. On the same day, independent website Fergananews published its first report of Mr Karimov's death. The Moscow-based news agency said his death occurred between 15:00 and 16:00 local time on 29 August. That was denied by unnamed sources at the presidential administration and sources close to Mr Karimov's family. By the time the cabinet officially announced his death on the evening of 2 September, several foreign leaders, including the Turkish prime minister, had already expressed their condolences to the Uzbek people on the death of their leader. A long and detailed medical report on "Patient Islam Karimov" was read out on state television on the evening of 2 September and published on the government portal, gov.uz, after the official announcement had been made. Some analysts say it was done in an attempt to stop speculation, including suggestions of a possible coup within the president's inner circle. The official medical report confirmed earlier reports about the nature of his illness and a foreign doctor's participation in the treatment. Image caption Mr Karimov's death was announced by Uzbek officials on 2 September, but when did he die? But there were some inconsistencies in this official report too. For instance, the report said foreign specialists including Prof Alexander Potapov, the director of Russia's NN Burdenko Neurosurgery Institute, who officials said had arrived in Tashkent on 28 August, fought for the president's life until the very end on 2 September. But BBC Uzbek has confirmed that Prof Potapov was already back in his office at the NN Burdenko Institute in Moscow on 31 August. Another Russian specialist, Prof Leo Bokeria, whose name was mentioned in the official medical report, was in Moscow on 29 August. Prof Bokeria, who had reportedly treated the Uzbek leader before and was familiar with his history of illness, denied that he had travelled to Tashkent and refused to talk to journalists, including the BBC's Russian Service. At the same time, Russia's Deputy Prime Minister Olga Golodets said Russia had not received any official requests to treat the Uzbek president. Some suggest that Uzbek officials who had never encountered such a situation before were unprepared and did not know how to deal with the president's unexpected death. As one social media user commented: "The Uzbek government cannot confirm President's death because it had no instruction from the President himself." One former member of Mr Karimov's administration has told the BBC that groups involved in a power struggle wanted to have a clear agreement over the possible successor before the president was officially declared dead. Under the Uzbek constitution, if the president dies or is unable to carry out his duties, power passes temporarily to the head of the Senate until an election can be held, which should be within three months. Uzbek officials have yet to formally announce the acting president or arrangements for presidential elections, if they are to be called. But the Kremlin stated that President Vladimir Putin had sent his condolences to the "head of parliament's upper house and acting President Nigmatilla Yuldoshev". Mr Yuldoshev, a former justice minister who is regarded as an unlikely contender for permanent power, was not given a central role in the funeral and was not seen meeting foreign leaders arriving in Samarqand to pay their respects to the Karimov family. Prime Minister Shavkat Mirziyoyev and his first deputy, Rustam Azimov, acted as pall-bearers and stood beside each other during the funeral ceremony. Both have long been rumoured as possible successors to Mr Karimov. But it was only Mr Mirziyoyev, who made a speech at the ceremony as chairman of the funeral commission, who was shown meeting Russian Prime Minister Dmitry Medvedev. Mr Mirziyoyev, 59, is the country's longest-serving prime minister. His reputation is of having "a fist rather than a brain". He has denied allegations of mistreating subordinates and beating them up, saying in 1998 that it was "not his style to beat someone". He is reported to have close links with Russian oligarchs and is in charge of the country's key agricultural sector including the cotton industry, which has been criticised internationally for the use of child and forced labour. He worked closely with Mr Putin when the Russian leader was his country's prime minister between 2007 and 2011. As Uzbekistan enters the post-Karimov era, many believe that real power lies in the hands of Rustam Inoyatov, head of the powerful SNB security service. A leaked US diplomatic cable from 2008 described him as a "key gatekeeper to President Karimov" and his style as alternating between "engaging and menacing". 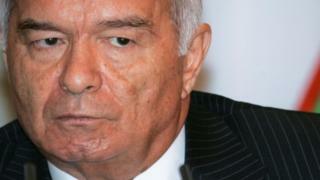 Mr Inoyatov, 71, is regarded as the main instigator of moves to sideline Mr Karimov's once-powerful daughter, Gulnara. There are fears that questions of the succession may contribute to uncertainty in the short term. Another key figure is the long-standing head of the presidential administration, Zelimkon Haydarov. He may play an influential role behind the scene. The Uzbek government has not made any significant statements on future foreign policy. Mr Karimov tried to sit between the regional interests of the big powers and resisted Moscow's attempts to integrate Uzbekistan into its economic and security blocs. Most of his colleagues from the former Soviet Union, including Mr Putin and Kazakh President Nursultan Nazarbayev, failed to attend the funeral. The US and China sent low-level delegations. President Barack Obama, who despite criticism from human rights groups continued working with Mr Karimov as a partner in security issues, spoke of "the new era" in Uzbekistan.